Keri Beach (Querim Beach) is a soulful beach in the region and is famed for its beautiful views and scintillating sceneries. The location looks absolutely amazing and is a must visit if you really want to experience Goa to its fullest. Witness true beauty and energize yourself on this epic beach. Swim in the designated area. How popular is Keri Beach? People normally club together Paji's and Dr Salim Ali Bird Sanctuary while planning their visit to Keri Beach. The place was very serene. When we reached their, it was very windy, but again that's what made that moment special. We sat their for a while and the whole experience was awesome. Be careful of the water here as it may get dangerous sometimes. A very beautiful beach, untouched. You won't find any shacks here. But that's what I liked about this beach. I went there in the morning just after the sunrise. It was amazing. This is popular among foreign public. You can see many foreigners staying nearby villages. If you visited you will notice like this is foreign country and Indians looks strangers. The sea shore is silent beach. Also popular for paragliding. 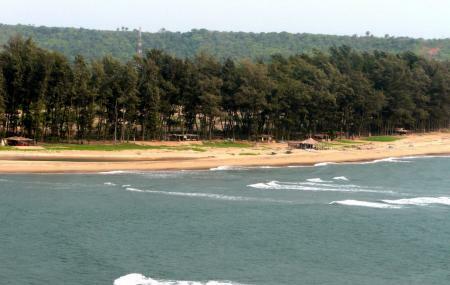 This beach is last point towards Maharashtra.